A nail polish that doesn't contain harsh, smelly chemicals. 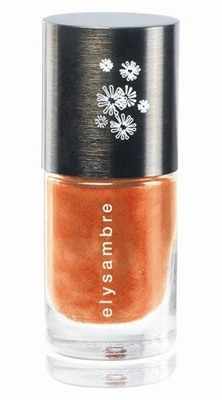 Elysambre Nail Polish is formulated with natural minerals and provides a hard, durable, chip-free finish. Elysambre Nail Polish is paraben free, toluene free, formaldehyde free and rosin free. No foul odors, no toxic chemicals, and no damage to your nails or to the environment. Encourages nail growth by nourishing and protecting them.